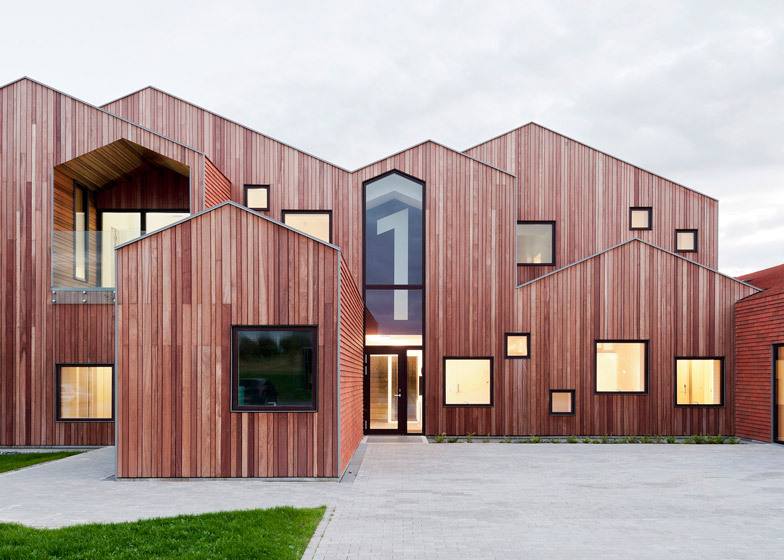 The fragmented gables that make up this children's centre by Danish studio CEBRA feature matching dormer windows that in some places have been extruded, inverted or turned upside down (+ slideshow). 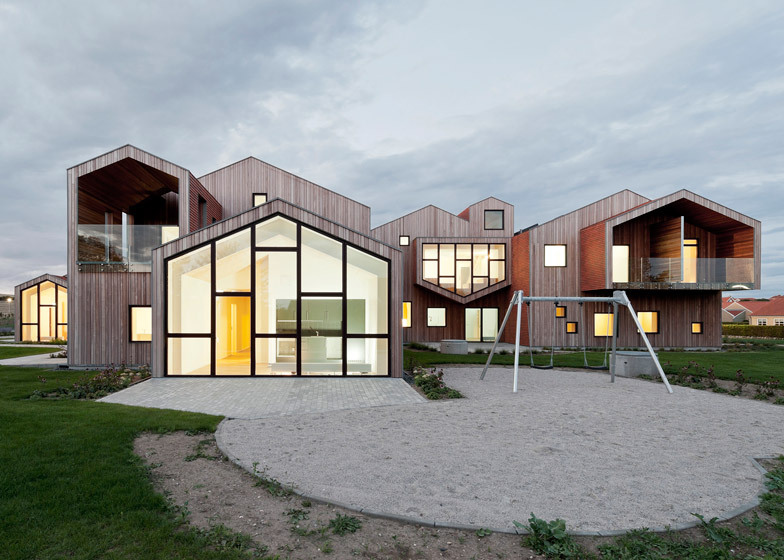 Located in Kerteminde, a rural town on the Danish island of Funen, the Children's Home of the Future was designed by CEBRA to provide a 24-hour care centre for children and teenagers with special needs. 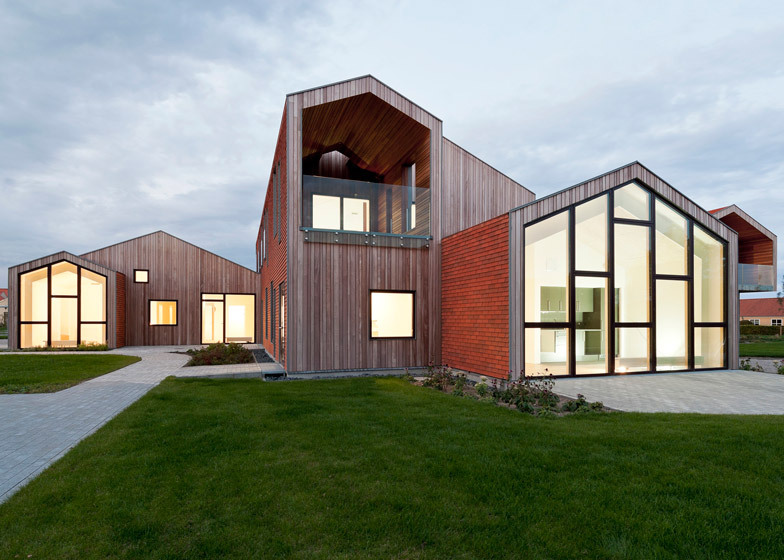 The Aarhus-based architects, whose past projects vary from a low-cost sports hall to a snowflake-shaped ski dome, worked with the gabled profile of the archetypal house to create a building that they think occupants will find "homely". 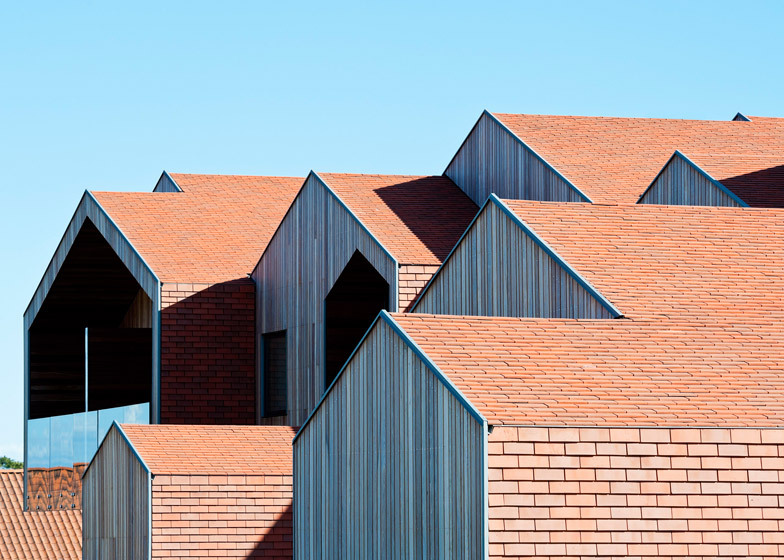 "Whether you look at children's drawings or a web browser's stylised icon, at all ages we recognise and use the rectangular pitched-roof building with a chimney as a sign for home. It is the visual essence of the functions it contains," they said. 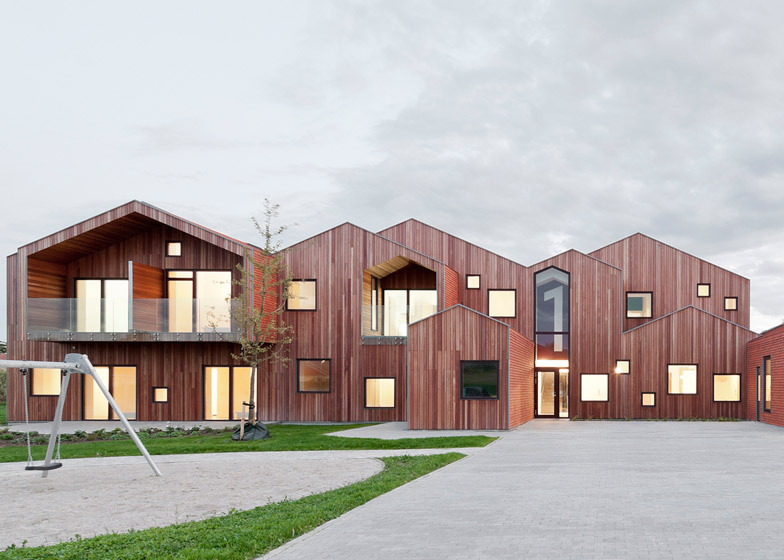 The team combined and abstracted four gabled volumes to create the basic form of the complex. 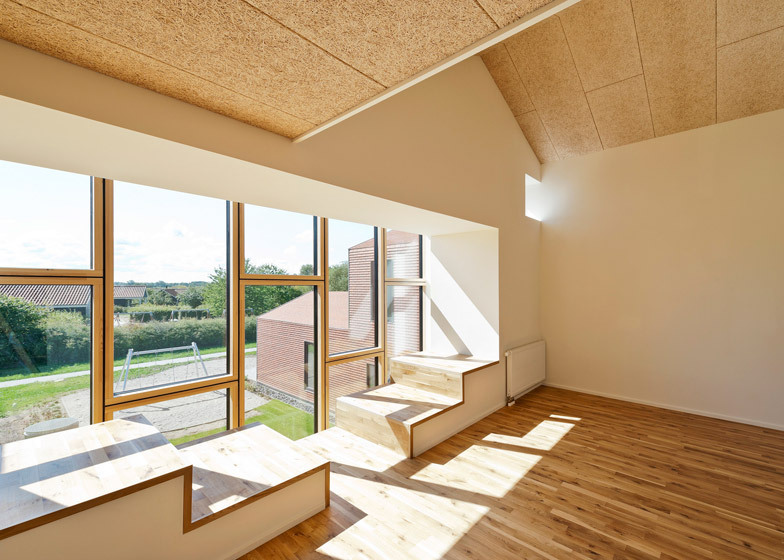 They then added extensions and recesses that offer different takes on the traditional dormer window. Some are extended upwards or downwards, and one has even been turned upside down. 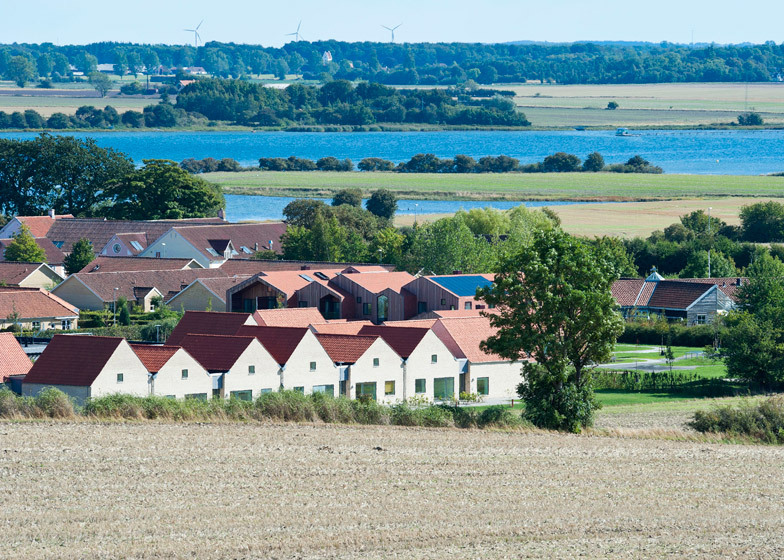 "The design takes the familiar basic shapes of the typical Danish home as its natural starting point," said the architects. 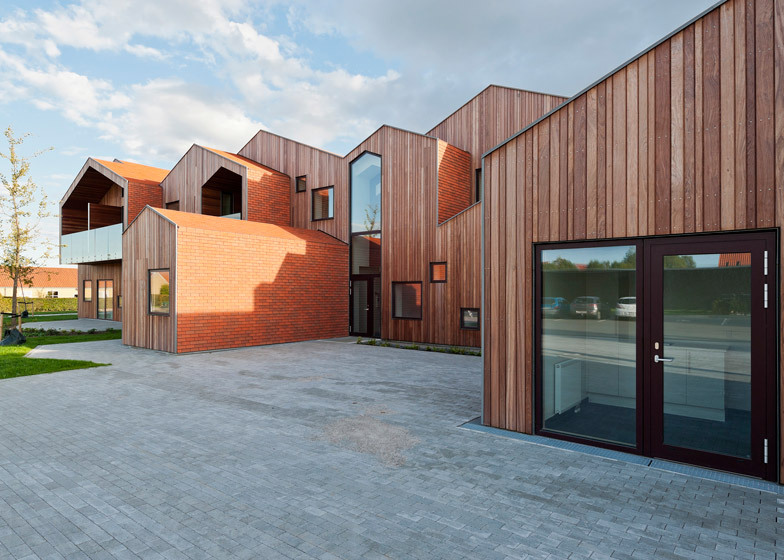 "The two elements are used in their most simplified form to create a recognisable exterior appearance and integrate the building into the surrounding residential area." 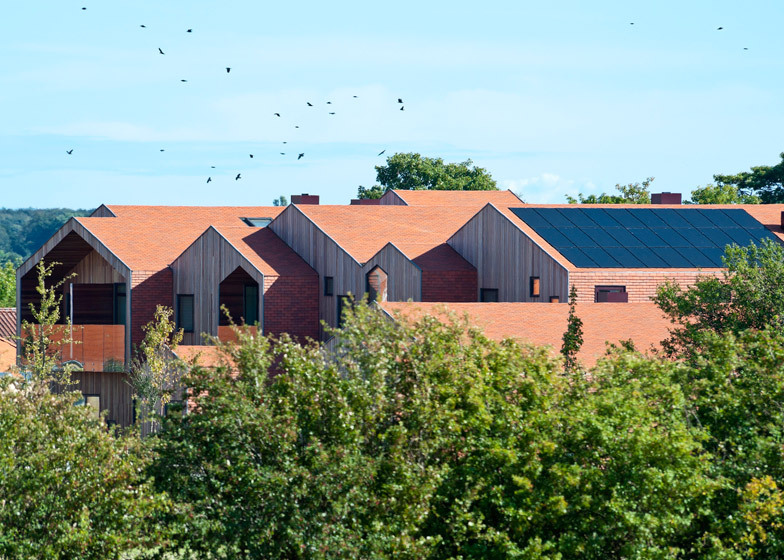 This is reinforced by the use of domestic building materials, including clay tiles that resemble brickwork and vertical lengths of wood reminiscent of conventional weatherboarding. 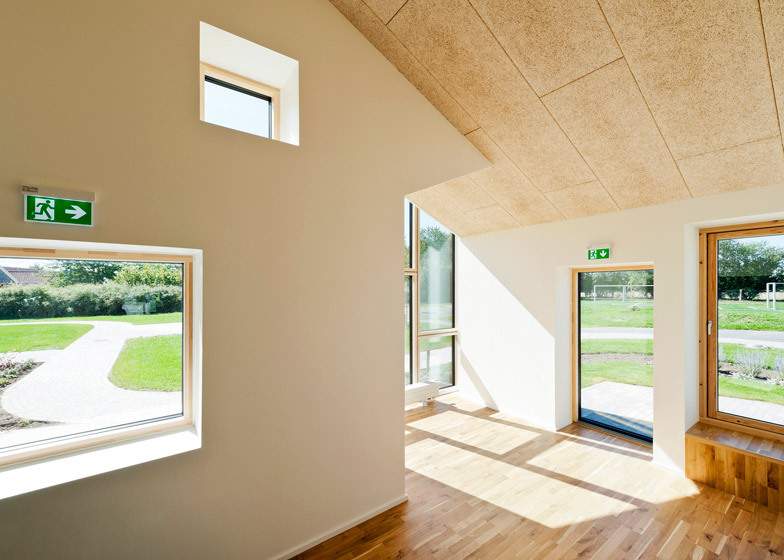 Internally, the 1,500-square-metre building is organised over two main floors and one basement level. 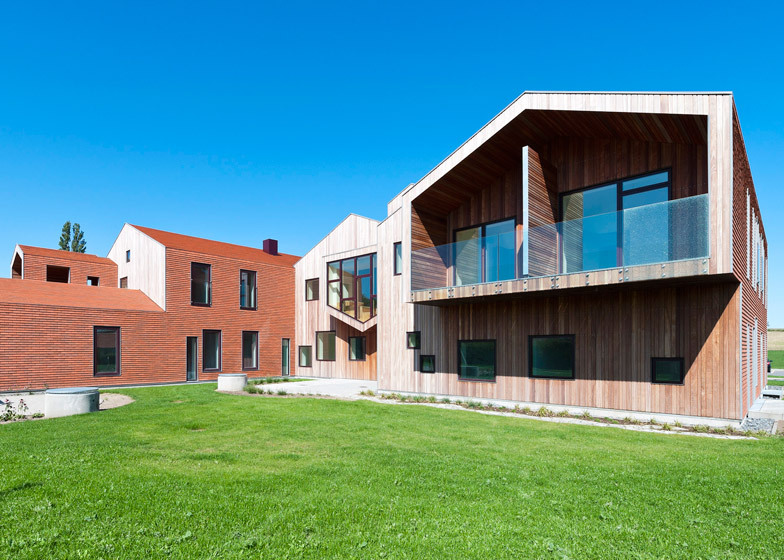 The upper and lower levels house most of the staff rooms and storage areas, freeing up the ground floor to offer facilities for children with behavioural, social and mental health problems. 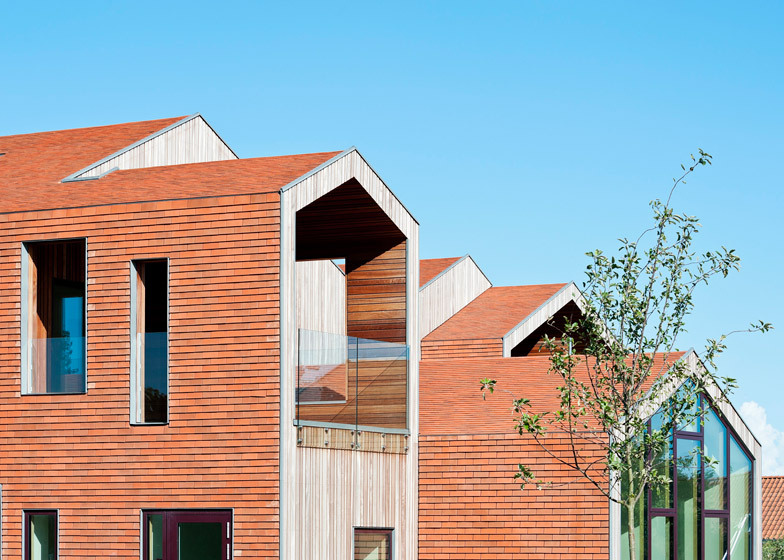 Areas are divided up by age range, so younger children occupy a space orientated towards the garden and playground, and teenagers use a space that faces out towards the street. 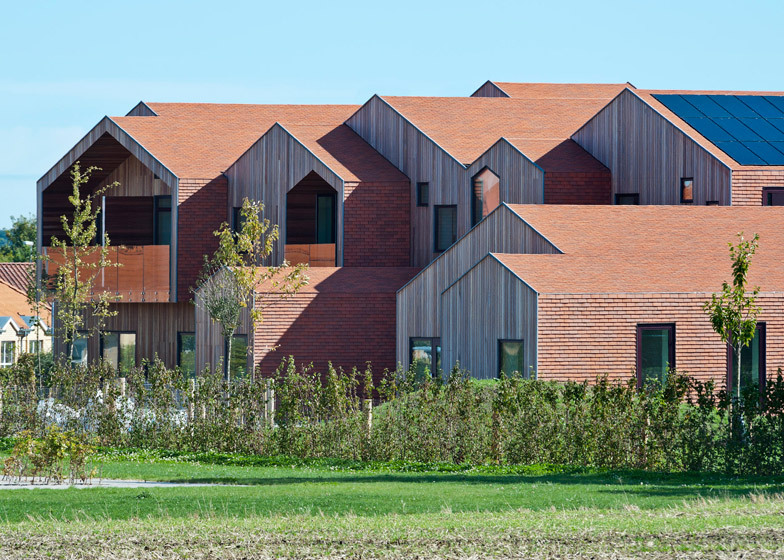 "The layout aims at providing the residents with a sense of belonging to their unit – a homely base where they can retreat alone or in smaller groups," said the architects. 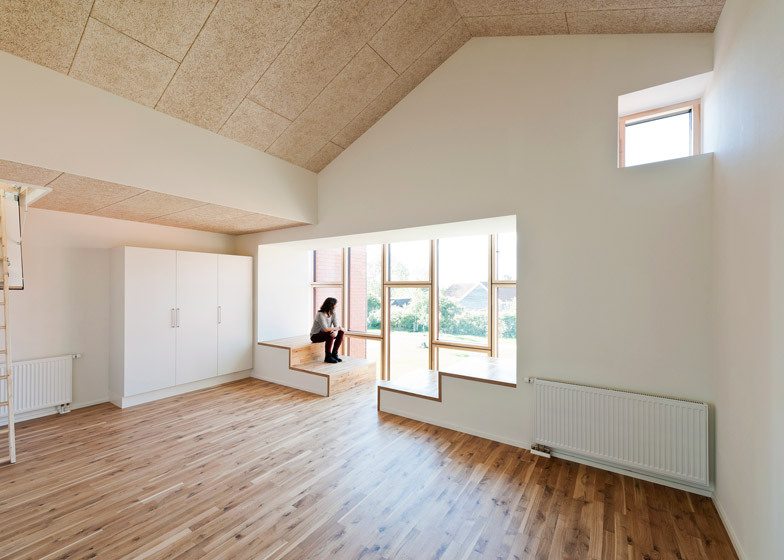 The dormer window areas, described as "bonus spaces", give each age group spaces for more intimate activities that include reading, watching films, painting or completing homework. 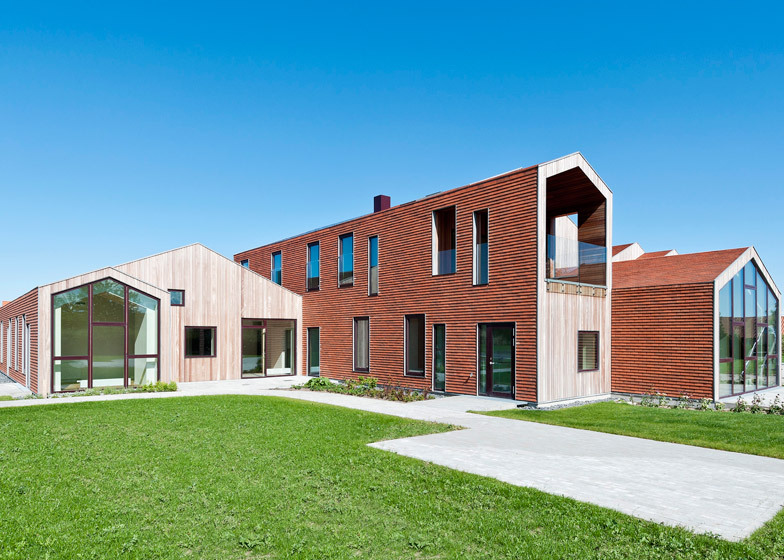 "The Children's Home of the Future combines the traditional home’s safe environment with new pedagogical ideas and conceptions of what a modern children's home is and which needs it should fulfil," added the team. 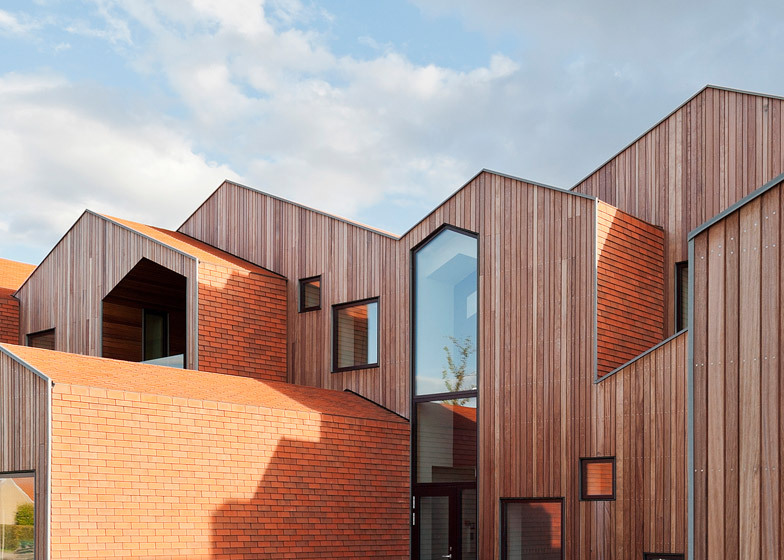 The entrance occupies the middle volume and is slightly set back, meaning that a regular influx of visitors and deliveries would cause as little disruption to the neighbourhood as possible.